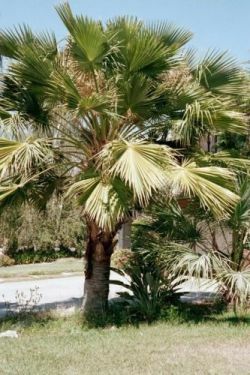 Comments: Fan palm native to Guadalupe Island off the west coast of Mexico. Light gray-green 3' fronds which detact without pruning. Mature trees to 30' tall and a mature tree can be mistaken for W. robusta, but the W. robusta is not self-cleaning.